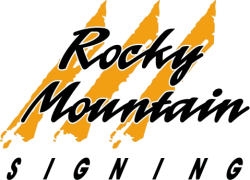 Traffic control Denver is at the heart of Rocky Mountain Signing Company’s full range of construction services. On staff here in Colorado, we have state-certified traffic control experts who can professionally design traffic control plans and provide traffic control management solutions tailored to your project's needs. We can design and produce your Traffic Control Denver Plan or Method Of Handling Traffic (MHT) which meets all requirements of the Colorado Department of Transportation and the City and County of Denver.